1 This tunnel of gourds is amazing! Thanks to Modern Pioneer for the photo. 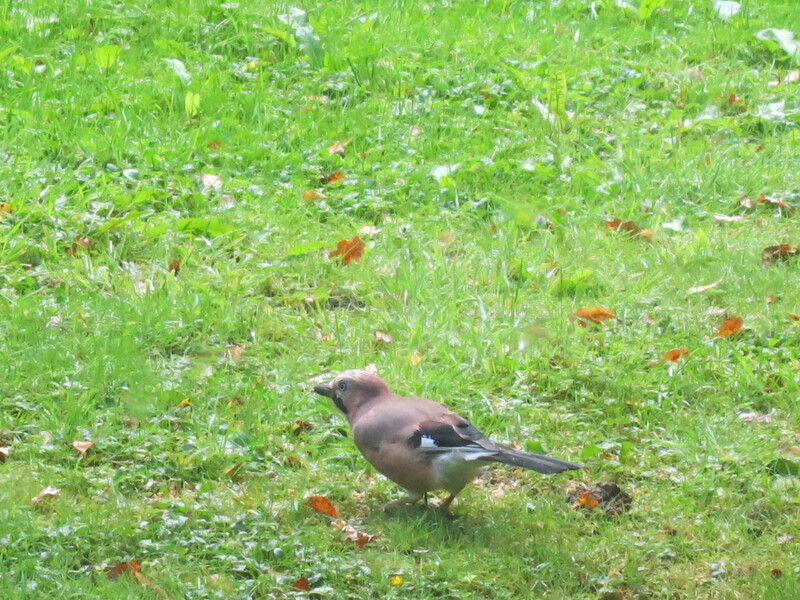 2 The Jay hung around long enough for a photo this morning. They are usually so skittish that photos are impossible. 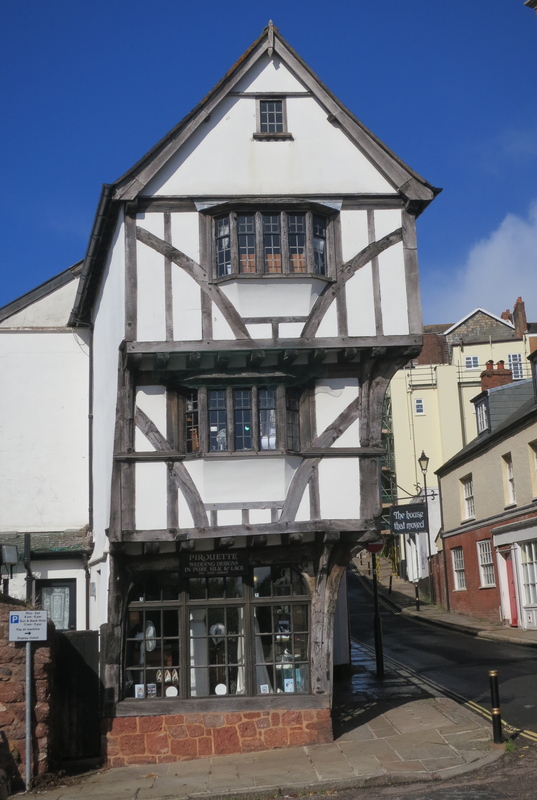 3 In Exeter again today, we saw ‘The House That Moved’. Dating from the 14th Century, it was about to be knocked down to make way for a road in 1961 but someone had the bright idea of moving it so that’s what was done. Read all about it here and see more fascinating photos of the move about 90 meters up a hill. My father and grandfather moved a church and 2 houses, and there was a restaurant in the next little town in Kansas, built in a 2-story house that was moved. What great pictures – love them all! Spellbinding pictures that leave me wanting more. The gourd tunnel reminds me of lanterns hanging down at a party. Glad they saved the old house. I love the first photo too. Stunning! Wow, I love that gourd tunnel! 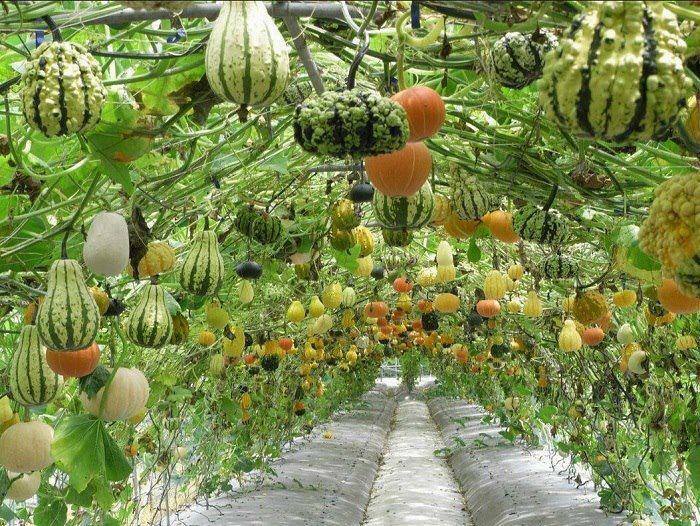 awesome story…and the gourd tunnel…that is just beautiful! I had to read up about the house – what an amazing story! Thanks for sharing. [ Smiles ] I LOVE your collection of beautiful photos!